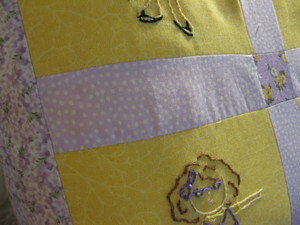 Way back when, I started working on the Summer Stitchettes. And look - I finally did something with them! 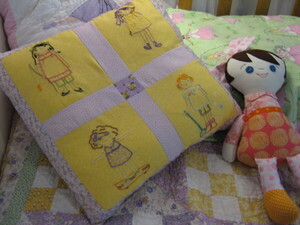 A cushion for Princess' room. The center reproduction print is a scrap from her quilt (made by my MIL). 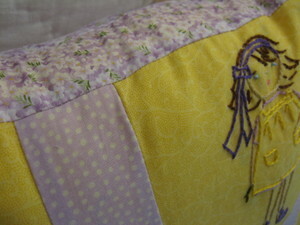 The yellow and the floral are gifts from my MIL's stash, too, actually.